I would like to plant the ashes of my wee dog in a patio tub with a japanese maple shrub.Would this be okay for the shrub? Shouldn't be a problem. Make sure you use an acidic/ericaceous compost, keep well watered, out of strong winds and in with no direct sun between 11am and 2pm in summer months. We bury our Siamese cats in the garden when they die and then plant a shrub on top of them. Oh, you brave people - I buried one of my cats in the garden under a Phormium, but I swore I'd never do it again - found the whole thing unbearable, so upsetting, so when the last one went, I'm afraid I let the vet take care of the remains. Guest, that's a lovely little dog, you must miss him terribly. Agree with Moongrower's comments on the Acer, but in this case, do make sure you use ericaceous compost as suggested, and don't make the pot too small. In the UK I 'think' that you are only allowed to bury two pets in the garden, but as you say, Rogie, who knows or cares? Well I ;know' we have more than two cats in our garden! Lovely dog. Sorry you have lost him/her. 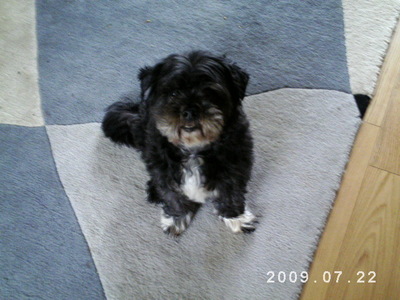 Hi to you `guest`.....your little dog is very cute, so sorry to hear he is no longer with you. When my last cat died, I received his ashes in a small wooden casket and buried it entire, and planted a geranium over it, a white geranium `sylvestre` in his memory ( he was called Sylvester). I think it is important that we can remeber our pets, some of them are with us for a long time...one of my cats lived for 23 years! If I move I would take the casket with me. I hope you find a suitable way to remember your lovely pet. Yes Lee, take heart in the fact that you gave Chrissie all the love she could ever have and that she had a good life.